Since 1989, Pickford has been providing high quality service for our customers. Repairs, upgrades, scheduled maintenance, parts, and tool calibration / certifications - we do it all in house. We service what we sell, and we pride ourselves in our customer service. We have factory trained technicians, and multiple capabilities to assess and report quickly, through an organized team of service technicians. We stand by our reputation as an industry leader, and lead by example by adhering to industry standards. Your equipment leaves Pickford looking clean and new after every service, ensuring your tools are properly maintained, and that they project a professional image for your company. We are a one-stop service center. Pickford maintains multiple lines of equipment. Whether a standard repair or a rush job, we strive to live up to our reputation and get your job done, correctly and quickly. No job is too big or too small. 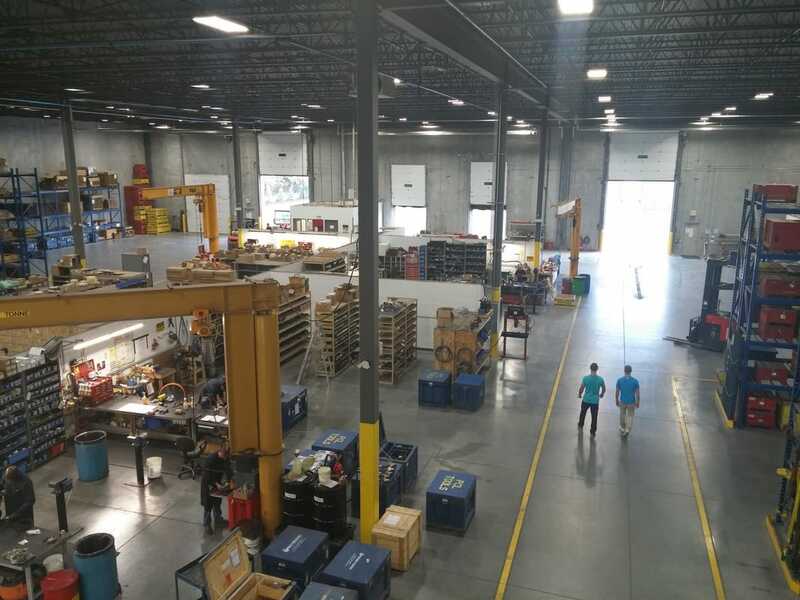 Pickford Service has a shop separated into cells, so that we can efficiently service your specific equipment by trained technicians, who are experts on each particular product type. Each cell has top of line equipment to ensure your tools are professionally maintained or certified. Our team will never shy away from a challenge, and customer service is our top priority. The Pickford Service Department does not charge for rushes, we will not charge for immediacy. Every service requirement is unique. We follow the sequence of when tools are signed in for service, yet we always have a technician available for an urgent repair. We take great pride in our service department being a highly organized group and we will execute the same level of service excellence, for your repair or certification requirement, every time. In some cases we can have your tools received, assessed, quoted, serviced and shipped on the same day. If you are in rush, and need a tool repaired immediately, have a coffee, and relax. In most cases we will have the required parts on hand, and will repair your tool immediately, so you can get back to work. It's all part of our dedication to our customers and their pressing projects.